Bag it Forward! Thanks New Seasons! Staff at Raleigh Hills New Seasons Market have voted in Focus on Youth as one of their three Bag it Forward partners. Starting August 10th, customers receiving a 5¢ reusable bag refund can choose to donate their refund to an organization that aligns with their three charitable giving focus areas: hunger relief, environmental conservation and supporting K – 12 schools. Our program, Seeds of Hope will be our Hunger Bag it Forward choice at our Raleigh Hills location. 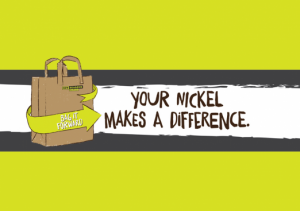 So, when doing your weekly shopping at the Raleigh Hills New Seasons Market – don’t forget to donate your nickel bag refund to Focus on Youth and our program Seeds of Hope.